Serve delicious and yummy dishes that you have freshly prepared for your family in a stylish way by using our Debossin 21X5CM Round Platter. Upgrade your kitchenware with this clean, stylish and versatile Bowl creatively designed with a colour combination of green and bronze. 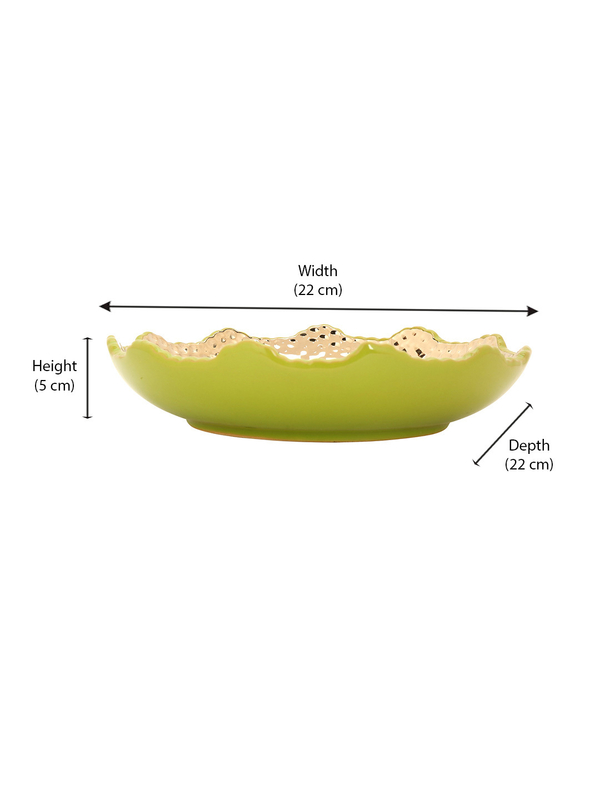 This bowl can easily mingle with many dinner sets and can be used for serving dishes or decorating the table with fruits in it. Made up of high-quality stoneware, the elegant design and impressive looks will surely add delight to your kitchen. Add this your kitchenware and earn some endearing compliments about your classic dining choice.